New collection from Iron Fist! Society Platform heels Mary Jane polka bow. These are so cute! 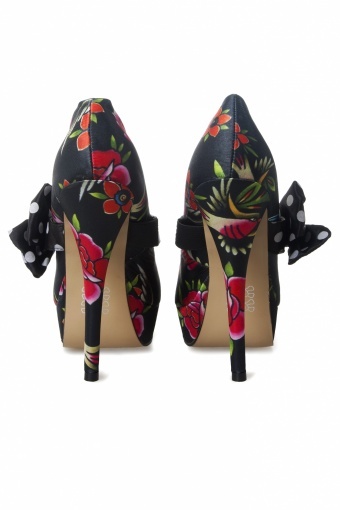 Mary Jane style, stiletto heel and plaftorm in a beautiful flower satin print. Lined with a soft leopard fabric. 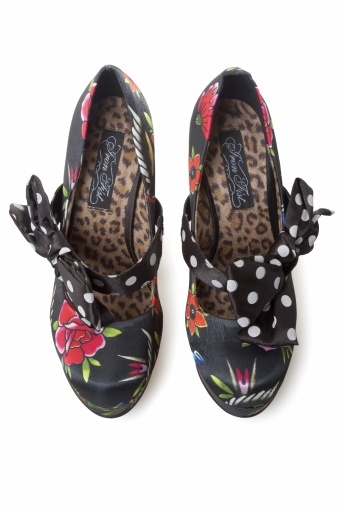 An oh-so-cute polka satin bow completes these party heels.